Solar Windows Cost - Are They Worth it? How much do solar windows cost? Are they a viable alternative? Asking how much solar windows cost is really putting the cart before the horse. You might have heard talk that solar windows are going to be the next big thing in solar. I mean, how cool would it be to look out your window and know that they’re producing electricity right then, as you enjoy the view? But while there are one or two companies actually manufacturing solar windows, many questions remain: are they really a viable option? Can you install them on your home? And finally, how much do they cost? If you’re ready to hop on this bandwagon, don’t jump quite yet. Currently, solar windows are still in the nascent stages. Only a handful of companies are actually manufacturing them and, while they are certainly super-cool, they’re still miles away from being commercially viable. They’re really hampered by two factors. When compared to ‘conventional’ silicon panels that we see all over rooftops, they see extremely low efficiency and very high costs. Even still, solar windows and other building-integrated solar cells (like Tesla’s solar shingles) certainly represent what solar can, and most likely will, be in the future: integrated, hidden, and sleek. Now if only the cost would go down! Let’s take a look a solar window’s cost and see how they work. Solar windows are exactly what they sound like! They’re transparent windows that also absorb sunlight and turn it into electricity. Instead of using silicon, which is deep blue and completely opaque, to harvest electricity like most conventional solar panels, solar windows use something called quantum dots. Basically, the quantum dots absorb non-visible sunlight (like ultraviolet rays) then shoot them back out at solar cells on the sides of the window pane. The solar cells absorb that light and turn it into electricity. Solar windows are a very exciting part of what’s called Building Integrated Photovoltaics (BIPV). Again, this is exactly what it sounds like: solar cells (ie photovoltaics) integrated into an actual building, not just installed afterward. The installation process is more efficient than with conventional solar panels, since you’re constructing the building AND the solar installation at the same time. It’s much sleeker and inconspicuous than conventional solar panels. Instead of simply bolted to the top of the roof, BIPV is hidden in the actual building. In some instances, you wouldn’t even know it’s there! Think about Tesla’s new solar shingles – one of the biggest moves forward for residential BIPV. You don’t even know they’re producing electricity! They’re completely integrated into the actual home. There are, of course, issues. BIPV typically sees lower efficiency than conventional silicon solar panels, so you need a LOT of them to really make it worthwhile. So you need a lot of flat, open space to install them. Big commercial buildings typically have a lot of flat, open space that is perfect for BIPV and it’s already somewhat common. However, it hasn’t quite caught on yet in the residential market. Beyond space issues though, the twin issues of efficiency and cost are the two main drawbacks to solar windows. We’ll examine these two challenges later on. 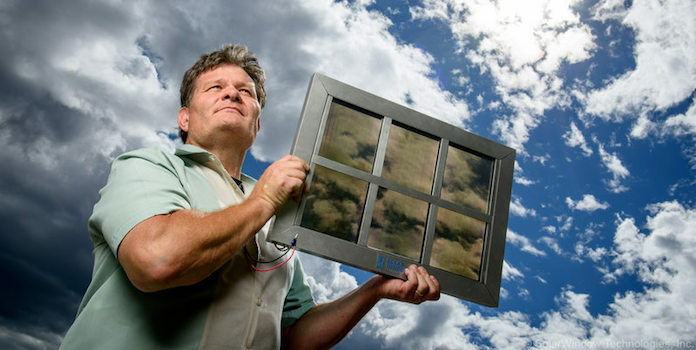 A few different companies either currently manufacture solar windows or are testing them for commercialization. 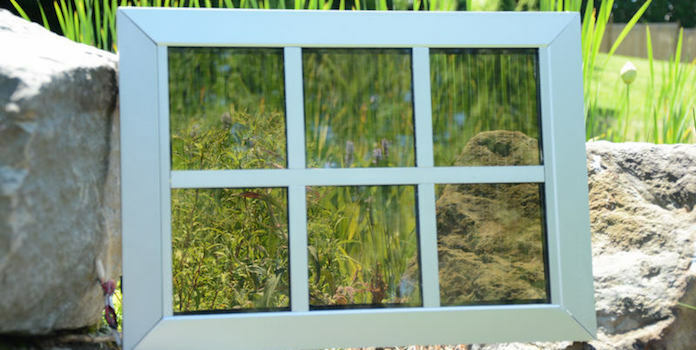 Sharp – In 2013, Sharp introduced a transparent, but shaded, solar window using dye-sensitized solar cells. The windows are about 40” tall by either 28”, 45”, or 55” wide. The smallest panel produces about 39 to 46 watts, the middle-sized 66-77 watts, and the largest 80-95 watts. This equates to about 6 watts per square foot – about in line with other solar windows on this list. Unfortunately, since their introduction, Sharp hasn’t made any more announcements about the product and a quick search of their solar site doesn’t yield any help. EnergyGlass – EnergyGlass uses “Patented Inorganic Nano Technology” – presumably quantum dots like we describe above – to create transparent solar windows without any visible lines or dots. EnergyGlass produces about 3 to 4 watts per square foot at peak times, and 1 to 2 watts per square foot at other times of the day. The manufacturer claims that users have 100% field of vision – a pretty incredible feat. Just like any solar panel, the electricity can be used on premises, go to the grid, or can be stored in batteries. EnergyGlass is the most developed of the manufacturers on this list. They actually produce 4 different versions of solar windows: a basic laminated version, an insulated version, a double insulated version, and a triple insulated version. Physee (not yet commercially available) – This Dutch start-up produces what they call the PowerWindow, a solar window similar to EnergyGlass, likely using quantum dots to send electricity to solar cells on the outskirts of the window pane. Currently, the company has only installed one project – 300 square feet of PowerWindows on a Dutch bank. Ubiquitous Energy (not yet commercially available) – Another start-up, this time based in Silicon Valley. 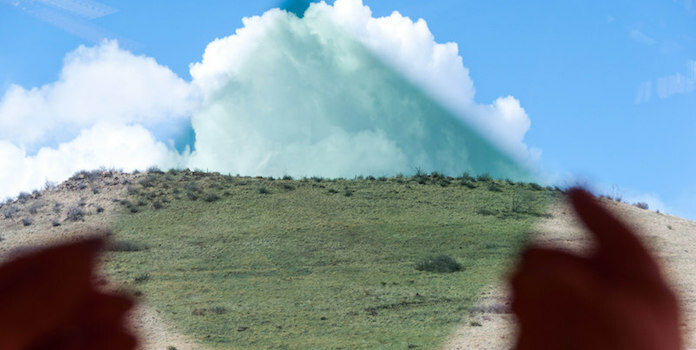 Ubiquitous Energy produces a film that coats the outside of glass and which absorbs only ultraviolet and infrared light, allowing 90% of visible light to move through the glass. Their products, which they call ClearView Power, are still in the testing phase and remain commercially unavailable. They claim they can see ‘practical’ efficiency of 10% (meaning 10% of all sunlight that hits the window can be converted to electricity). 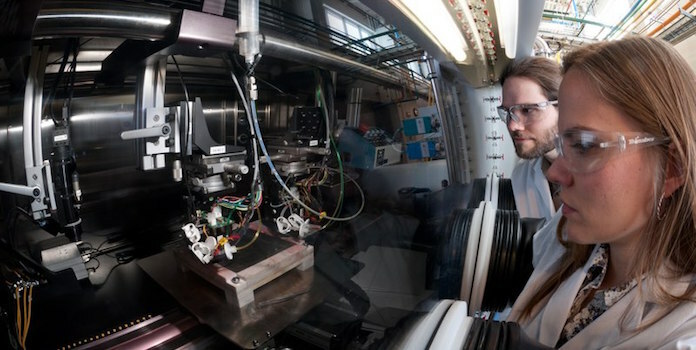 If true, this could be a huge breakthrough for solar windows. SolarWindow (not yet commercially available) – Another start-up not quite ready for commercialization, SolarWindow produces a liquid PV coating that can be applied to pre-existing windows. They claim that their products can see a financial return within just a single year – a huge claim that even conventional solar panels don’t enjoy. We’ll need to wait until more product specs are available to verify that, but their recent testing with the National Renewable Energy Lab seems promising. How Much Do Solar Windows Cost? Installing solar on your home – no matter the technology – is all about saving money. The cheaper the equipment and installation, the faster you can see a return on your investment and start actually saving. Most of the products above are not yet available on the market, so naturally, there’s little information on cost out there. However, from what we do know (and to state it simply), solar windows are expensive. Like, really expensive. In fact – coupled with their poor efficiency – they’re just too expensive for any residential installation. If you’re really excited about installing solar windows in your own home, it might be a while before you can realistically move forward and still save money. To really dig deep into solar windows costs, let’s take a look at Sharp’s offering, which we actually have some cost info for. When Sharp introduced their solar windows back in 2013, they estimated the cost to be around $2,000 per square meter (equal to about 11 square feet). You might be thinking, “Wow, that seems like a lot of money.” You’re right, and I’ll show you just how right you really are. Consider the price of a typical double-pane insulated window — you can purchase them for between $150-$250 at a national hardware store. If you’re purely interested in replacing your windows, you’re clearly not going to save money this way. So what do these solar windows cost compared to solar panels? In 2016, the average solar panel cost about $0.64 per watt. Most residential solar panels installed today are about 265 watts, for a total of $170 per panel ($0.64 X 265 watts). Residential solar panels are about 15 square feet (5’ tall X 3’ wide), so 11 square feet (or 1 square meter) of conventional solar panel cost about $124. Yup, you read that right. $124. Sharp solar windows are $1,876 more expensive per square meter than conventional solar panels. And this is only looking at the physical dimensions of these solar panels/windows. Conventional solar panels are also much, much more efficient! Doing some quick math, we find that the conventional solar panel above produces about 194 watts per square meter (or 11 square feet). When we look at Sharp’s solar window dimensions and wattage, on the other hand, we find they produce about 65 watts per square meter. We can’t speak for the other products, but Sharp’s solar windows are a hard sell, not just for residential installations, but for any application. You’re paying much, much more for much, much less. We already noted that cost information is difficult to find for the other manufacturers, but we do know that efficiency remains quite low. EnergyGlass claims around 4 watts per square foot at max production (equal to about 44 watts per square meter) – which puts them right in line with the Sharp windows above. Physee’s PowerWindow produces a somewhat dismal 8.4 watts per square meter. At these efficiencies, the products would need to be extremely, impossibly low-priced to be financially worthwhile. Even with all this talk about costs, keep in mind that any new technology is going to be expensive at the outset – conventional solar panels certainly were. But paying more for less is never a good idea. With conventional solar panels, we’ve got a much cheaper option that’s widely available, safe, convenient, and easy to install. And unlike solar windows, we have the infrastructure to quickly and easily install solar on your roof. No waiting for a technological breakthroughs. No waiting for a company near you to install. Just reach out to a handful of installers for quotes, choose the best one, and you’ll have a fully-functioning, clean energy machine in just a month or two! At their current price and efficiency, solar windows just don’t make sense. But then again, that’s why there are so many companies researching and testing them. These companies see the potential to disrupt the solar industry, and we should all be excited to see the next big leaps in the technology – they’re sure to be a doozy!